Sumy Kim is an associate in the San Francisco office of Lewis Brisbois and a member of the Labor & Employment Practice. Ms. Kim defends employers and individual defendants in discrimination, harassment, wrongful termination, retaliation, and wage and hour litigation. Ms. Kim has experience conducting investigations, preparing dispositive motions, negotiating settlements, and preparing cases for trial. She also provides preventative counseling to employers regarding all employment practices, including drafting and auditing employee handbooks, preparing employment agreements, and evaluating termination decisions. Prior to joining Lewis Brisbois, Ms. Kim was an associate at a plaintiff-side civil litigation firm where she litigated primarily employment disputes, but also a wide variety of other matters, including contract, business, landlord/tenant and family disputes. 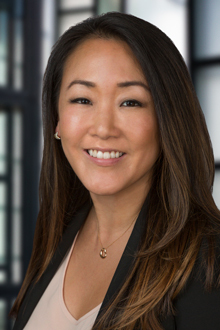 Ms. Kim’s former experience includes litigating individual and class actions from the plaintiffs’ side, giving her invaluable insight into the thought processes and litigation strategies of plaintiffs’ counsel.